The snow started falling in Boston on Saturday and it made me feel like the holidays were officially here. 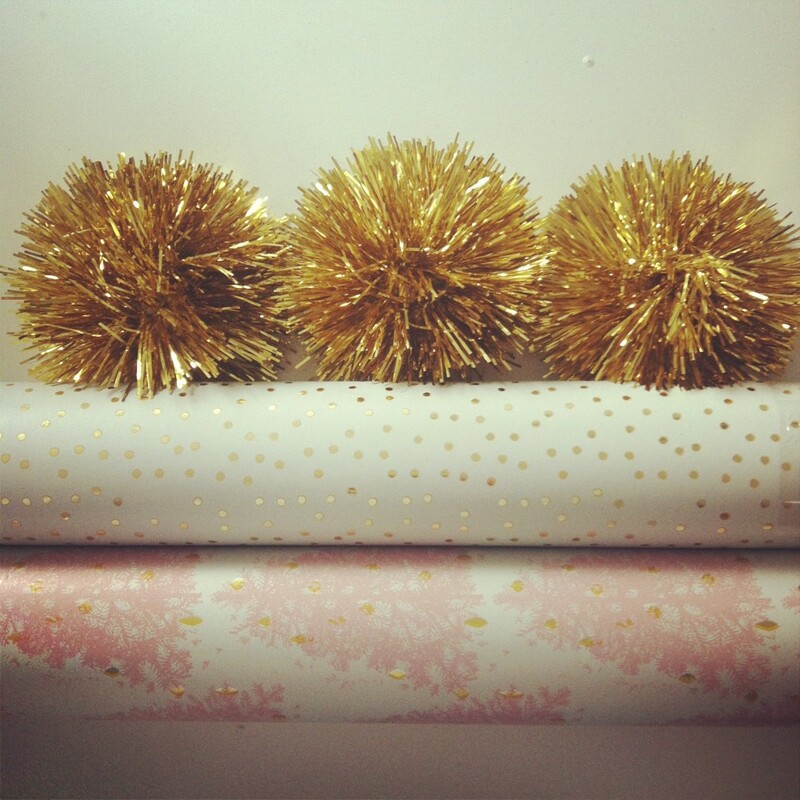 I snagged some really cute metallic wrapping paper and tinsel bows while I was out shopping — I can’t wait to start wrapping presents with these. And Sunday I found the holy grail at Trader Joes: Peppermint Mocha macarons in a bright shocking pink — this box was just a ‘test’ to make sure they lived up to expectations for some holiday entertaining — and they certainly did! Ladies Home Journal Feature! Shindig inspiration. 8 Responses to "Macarons & Tinsel." I’m totally looking for these the next time I go to Trader Joe’s – yum! LOVE the gold dot paper! Where did you find it? I’m on the hunt for that exact paper for my wedding. Liz, I found it at TJ Maxx! I love the paper! I bought some at Target already but love what you got!!! Those macarons sound delish. We are finally getting Trader Joes in Dallas!! 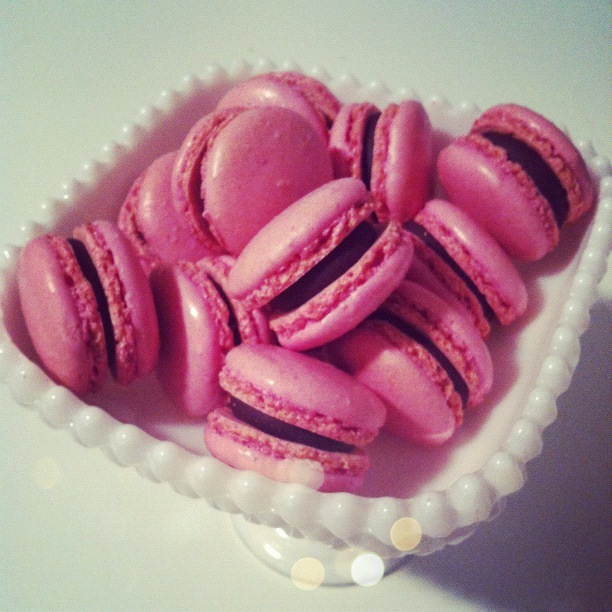 Macarons will look such attractive in shocking pink, I never knew it. Will try it this year. TJ, I am coming to you.